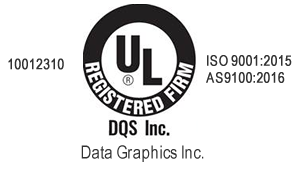 Use Full Color Labels to Enhance and Compliment Your Design | Data Graphics Inc. Use Full Color Labels to Enhance and Compliment Your Design | Data Graphics Inc.
Have a previous label that you want to recreate? Don’t know the exact color codes used? Don’t worry. Our experienced professionals perform color matching. We use standard/coded Pantone colors to get you the perfect match. Please note that there is a chance that the photo proof we send you will not exactly match the original sample. The settings of your monitor, type of paper used to print the photo proof and printer used can cause the colors to vary. Once in production, our team uses the Pantone Color System to get the perfect match. 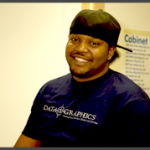 At Data Graphics, we leverage the best facilities and printing technology to deliver striking 4 color label printing. We continuously invest in our printing facilities by upgrading with the proven, advanced technology that delivers the best results. This includes our HP Indigo Digital Press. With this piece of equipment, your color options are endless. This press uses a 4 color process to print labels in almost any color. Reach out to our team for a fast quote on our established color matching services that we’ve perfected over the past three decades.